The Vogue Dorchester Style offers a end lift ottoman bed base in single, small double, double, King and super king size which comes with a padded footboard and matching headboard on legs. 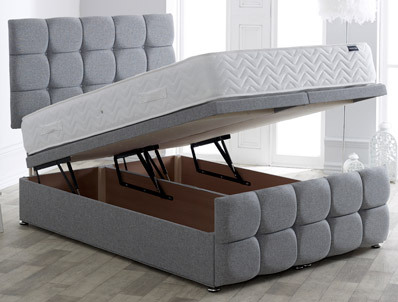 When the lift up lid is down it offers the style of a bed frame but with the added versatality of the ottoman base. The quality of the base in our opinion is better than other similar products from Sweet Dreams. The end lift ottoman base is powered by 4 gas pistons and comes assembled in 2 pieces. So all you need to do is join the 2 halves and add the headboard and footboard. 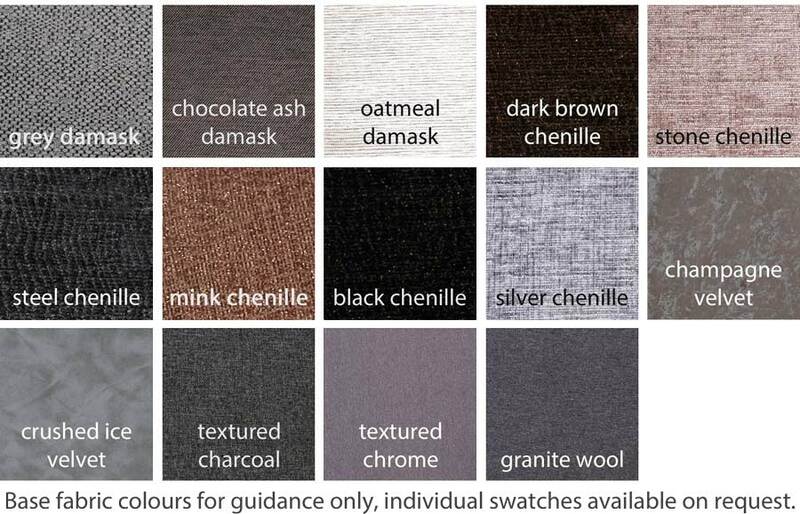 There are 14 different fabrics to choose from and delivery is to your room of choice in 7-10 working days. Please note the mattress is not included in the price.